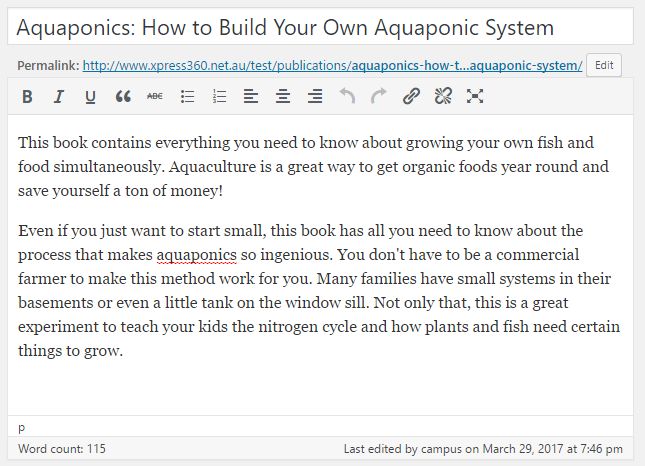 The Publications Manager plugin provides an easy to use tool for organizing and displaying publications. It is a CampusPress only plugin. Once you’ve activated the Publications Manager plugin in Plugins > All you’ll see a new Publications menu item added to your main navigation. 1. Go to Publications > Add New. 2. 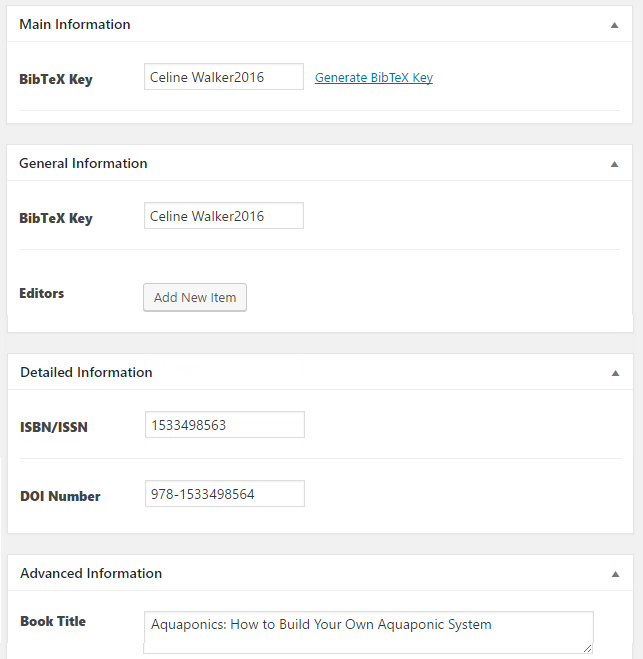 Add the publication title and publication description. 3. 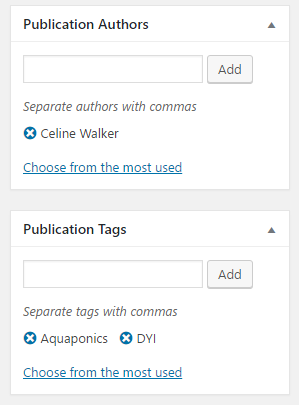 Add the publication author and publication tags. 4. 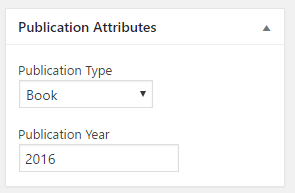 Select the publication type and add the publication year. There is a wide range of publication types to select from including book, proceeding, thesis, collection, conference, presentation. 6. Complete the main information, general information, detailed information, advanced information and notes fields. 7. When you’ve finished adding the information click Publish. 2. Add the page title. 3. 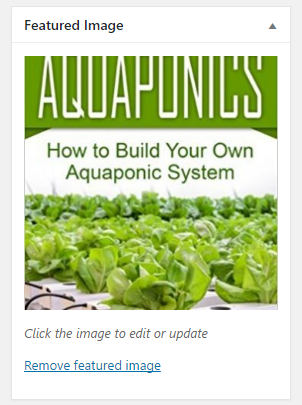 Click on the Publications icon and select Publications List. 5. This inserts the publication shortcode. 7. 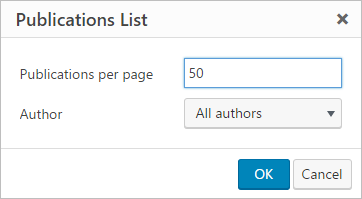 When you view your page you should see your publications listed. 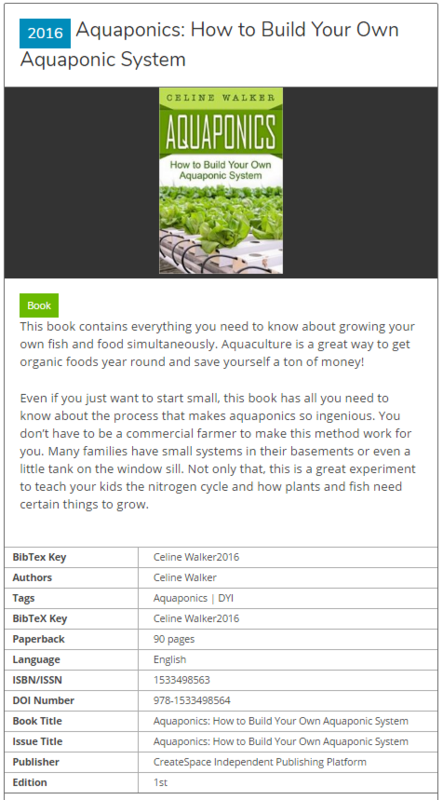 Below is an example of what a publication listing looks like on the publication page. 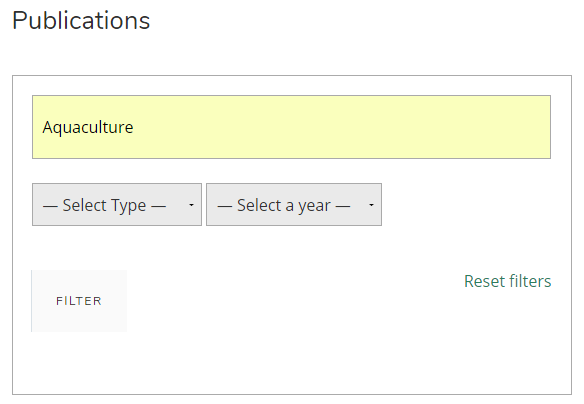 Readers can search publications on your publications page using the search field at the top of the list by entering the search term, publication type and/or year and then clicking on Filter.